Alcatraz was the supermax federal prison. It is famously known for its forbidding structure and its nickname of ‘The Rock’. It was originally a fort and declared a military reservation in 1850 by President Millard Fillmore. In 1907 it became an official US military prison and in 1933, it became a part of the Bureau of Prisons. Over the years Alcatraz housed approximately 1,545 of America’s most ruthless criminals. 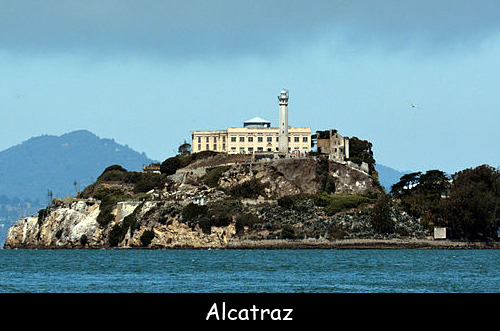 The Alcatraz Island is located in the heart of San Francisco Bay in the United States. For thousands of years, it was a lonely island. The island was named in 1775 by a Spanish Lieutenant named Juan Manuel de Ayala. There were no confirmed prisoner escapes from this Alcatraz, although this has been debated as recently as this year 2018. A total of 36 inmates tried and of those 23 were captured, 6 were shot dead and 2 drowned. It was also home to the first ever lighthouse of the Pacific Coast. The largest group of Native Americans imprisoned here was 19 Hopi ‘hostiles’. They refused to farm the way the government wanted them to. These protesters also opposed forced education of their children in government boarding schools. Every prisoner had his own 5 feet by 9 feet cell. Each cell had a toilet and a small sink. It was the only federal prison at the time which offered a hot water shower. Al Capone got creative during his stay here. He was credited with setting up the prison band. Declan, Tobin. " Facts about Alcatraz for Kids ." Easy Science for Kids, Apr 2019. Web. 23 Apr 2019. < https://easyscienceforkids.com/alcatraz-facts/ >.